We love our clients, and we love what we do – We spend time to listen carefully and understand your business needs and what you want to get out of commercial real estate or business. Your priority is our top priority. It doesn’t matter size of the project. We compile the information, analyze and carefully craft a business solution for you – weather you are a buyer or seller. We pro-actively assist in a timely manner to achieve your goals. We are dedicated to the success of your business. Confidentiality is one of the highest priorities at Aspect Brokers. From our business conversation to financial documents, we maintain your information very confidentially. Upon request, we arrange discrete business site visit to make sure employees don’t find out what you are trying to accomplish. When you engage in our services, you are benefitting from the advantage of total over 18 years of combined multi industries experience. We have successfully sold many commercial real estate and businesses within reasonable timeframe. We truly have an extended list of happy buyers and sellers. At Aspect Brokers, we work hard to achieve the best-in-class performance in all areas of our business. From our first contact to closing the deal, we take good care of every small detail. Our brokers are highly educated, seasoned and extremely knowledgeable in Real Estate and Business Brokerage industry. We are using cutting edge technology to deliver business solutions to our clients. We deliver up-to-date information on what is happening in the marketplace and the price, financing, terms and business competition. These are some of key factors in the buying and selling process. We focus on your goals. Our brokers work with buyers and sellers with strategy. We not only bring the buyer and seller together but we go above and beyond to find the right match for the buyer and seller. We have a very organized and high tech system that allows the buyer and seller to make business decisions confidently. Based on our experience, we have established a wide network of industry professionals. With your request and based on your need, we can point you to the right banks, mortgage brokers, lawyers, accountants, environment specialists and insurance professionals and many more. We have established a process for you to obtain necessary licenses – examples including ABC Permit, Lottery License, Privilege License, and registration of Underground Storage Tanks, Health Permit and various other licenses. 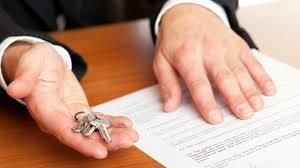 We can guide you through the closing process and make sure everything flows together smoothly. We continue to provide support to our clients post closing and continue to maintain the business relationships. You are our priority. We never compromise with quality of work. We don’t settle for less than you deserve. You can count on us for the best and yes; you can completely rely on us. We have learned our negotiation skills from our experience. There are numerous negotiating factors, including but not limited to due diligence, environment issues, offer price, contract language, financing, terms, and often the inclusion or exclusion of repairs of equipment. In any circumstances, we can help you. We are a highly skilled negotiator; we know what it takes to close a deal and have the ability to work around even the most challenging obstacles that arises in any transaction. We are not messengers, delivering buyer's offers to sellers and vice versa. We are professionals who are trained to present your case in the best light and agree to hold your information confidential from competing interests. Through our sophisticated communication system, we manage to work with you. You can reach us via phone, text, email, instant message or social media. We are trained multi-tasking professionals that will handle your business request in a timely manner. We do all we can to respond back to you at the earliest convenience.